Today's top brands put consumers at the center of the business. 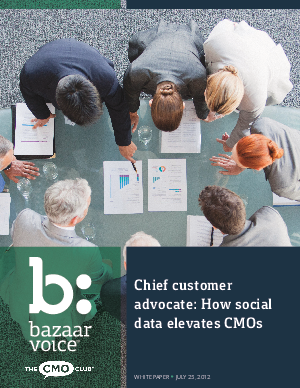 CMOs can lead the consumer-focused revolution by harnessing first-person data created by online consumer conversations. But smart CMOs don't keep this data to themselves. They elevate to Chief Consumer Advocate when they share these insights across the entire organization.